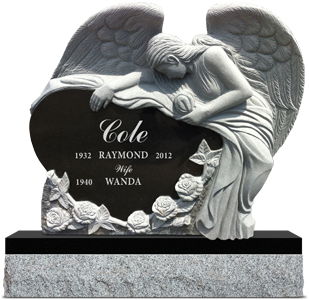 Dear reader, whether you are purchasing a monument for a loved one who has passed or finalising your own arrangements ahead of time, know that we will do everything we can to make this process as simple for you as possible. We believe every customer should be treated like family - this has always been a core value and the key to our company's success, since our humble beginnings in 1909. 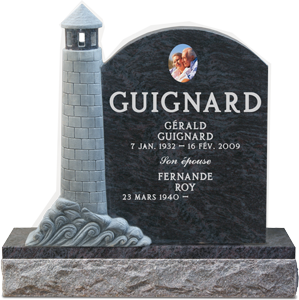 As such, Goguen Monuments takes great pride in the durable quality of our monuments and guarantee all of our products. We use only the highest grade of granite, yet keep them affordable for you, as our team takes time to carefully design, produce and install each monument with precision and care. Our gallery contains special monuments and expands on our standard catalogue. 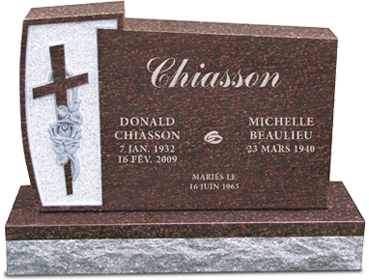 Using mobile sandblasting equipment, we have the means to inscribe dates or other designs onto existing monuments directly at the cemetery. Over time, some monuments need to be restored by having them cleaned, repainted, or levelled. We have the expertise and the necessary equipment to maintain them properly.